Saturday, April 8th doesn’t seem that far away now, so racing fans are beginning to get excited for the Aintree Grand National 2017. Like every year before it, this race will undoubtedly be full of dramatic subplots to keep punters and fans interested even if their ride goes down at the first. For instance, after all the controversy over the weight handicaps, it will be interesting to see how the remaining Gigginstown runners perform. It will also be intriguing to find out if the bookies have picked the winner, or if an outsider will romp home once again. Either way, this a race that rarely disappoints when it comes to drama and with so few favourites scooping the honours at Cheltenham, could the future Grand National winner also be a rank outsider? To celebrate the remarkable achievements of past winner, we look back on the 1967 race and why it was so special. Foinavon entered the race as a 100/1 rank outsider. 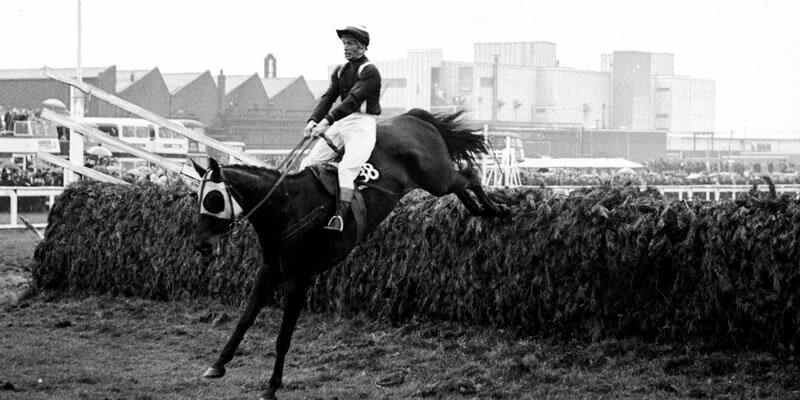 Almost nobody fancied the horse and we doubt that even the jockey that took the ride that day, John Buckingham, thought it could come home first. Buckingham wasn’t even due to take the ride – the horse’s trainer John Kempton was also a jockey and he was supposed to take the ride that day. However, he couldn’t make the weight, so rode a different horse at Worcester. Things could have been so different for Buckingham had Kempton made the 10st weight as this was the ride that defined his entire racing career. For most of the race, it looked as though Foinavon was living up to its long odds. It was well behind the field and if in-play betting existed in those days, you probably would have got much greater odds than the 100/1 that was quoted pre-race. However, everything changed at the 23rd fence. Several riderless horses came to it and got startled, deciding not to jump it. Instead, they ran the length of the fence. This startled the leading group who were arriving at the scene, thus causing some of the horses to dismount their riders, while other horses attempted to jump the fence, but failed. It was absolute chaos. There were horses falling to the ground, jockeys chasing their rides and almost nobody knew what was going on. Foinavon was not startled, though. Buckingham arrived at the fence and jumped it cleanly – the only one out of the entire field to do so on their first attempt. This gave the pair an unexpected lead, which they managed to hold onto for the final 7 fences. The 23rd fence has since been named after the horse. You have to be a special ride to have a fence named after you and Foinavon certainly befits that honour. Buckingham passed away in December of last year, but he will always be remembered as the man who won one of the most dramatic Grand Nationals in the history of the sport.